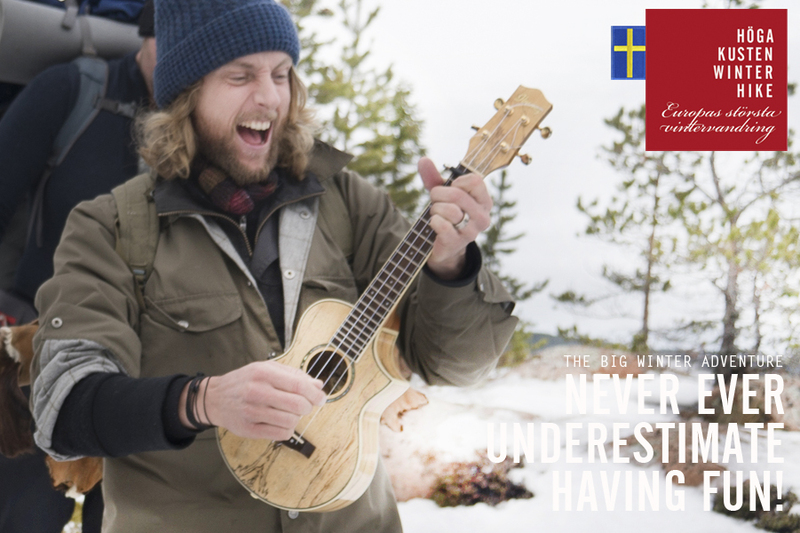 Would you like to experience Sweden on an adventure together with likeminded people? 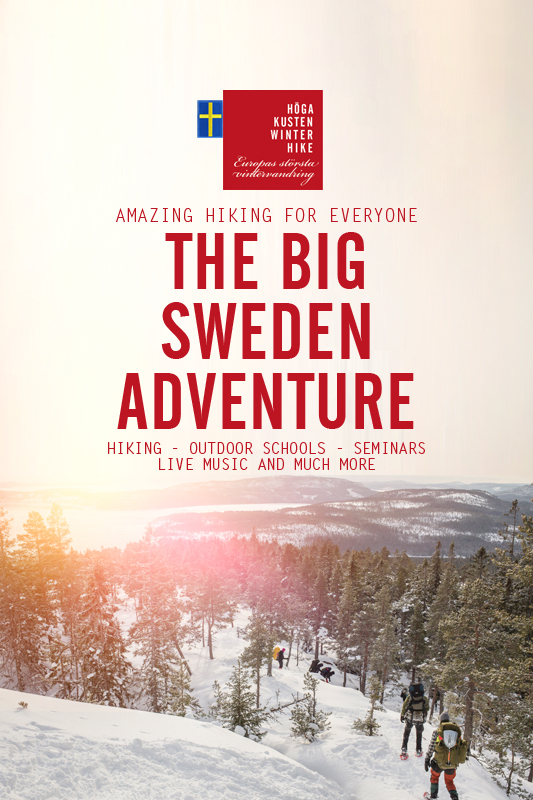 Well the High Coast Winter Hike gathers regular people who set out on an exeptional winter adventure through some of Swedens most stunning landscapes. Some people choose to come alone and meet new friends while others bring their family or friends. 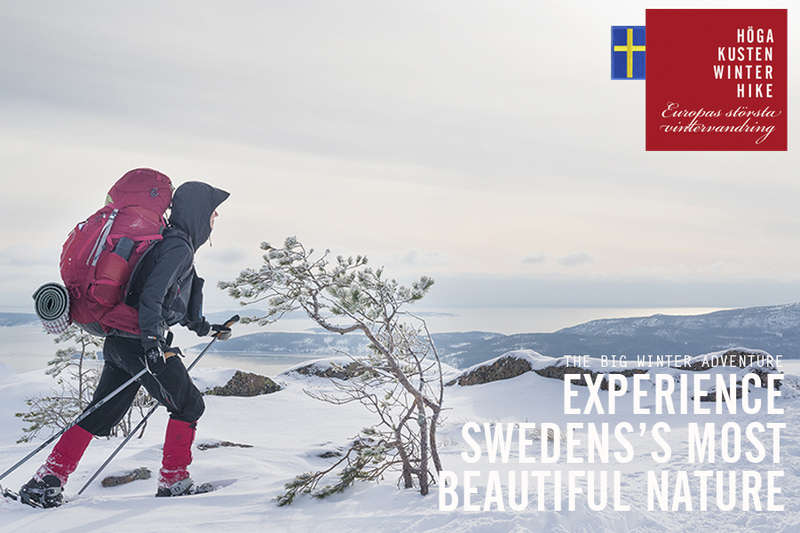 The hike takes you through some of Swedens most stunning nature and during Day I and Day II you can also choose a shorter route. 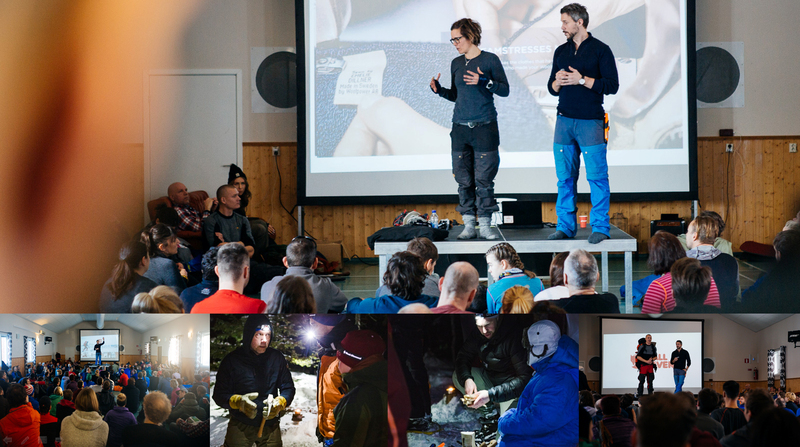 In the evenings we meet up at the shared nightcamps with outdoor schools, seminars and a lot of fun. The adventure is suitable for both experienced and curious beginners, however you need to practise and should be able to carry your own backpack with everything you need. 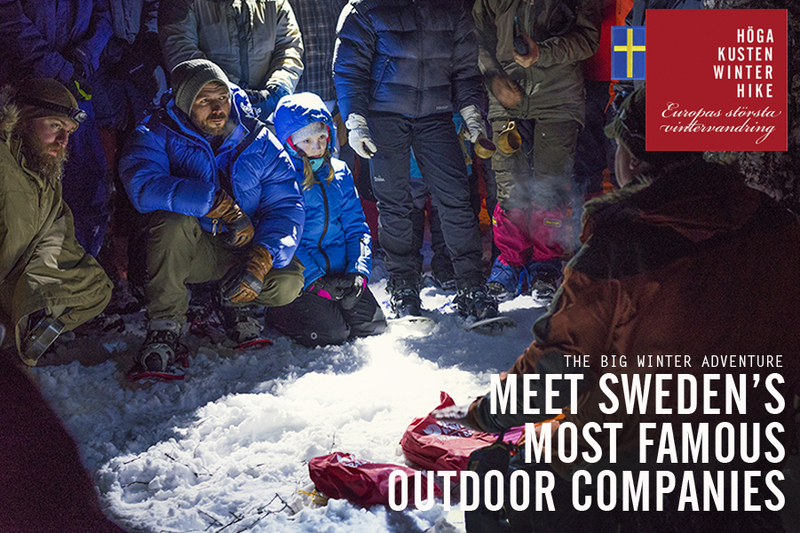 Before we set out we go through the basics on outdoor life during winter, for most people this is the first time they have ever been camping during winter. This makes it extra fun. Check out the links below to learn more about the adventure! See you! 4) You can do this. If you get tired, choose a shorter route. If you get a bad nights sleep, take powernaps during the day. It will work out. 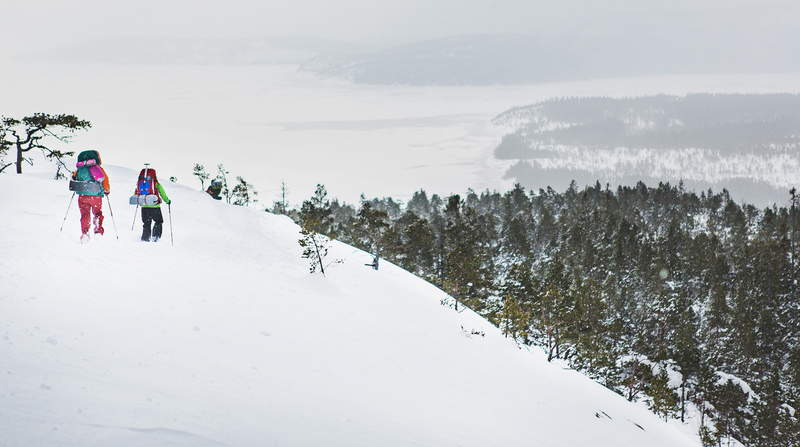 Check-in, collect food and map – then we start the morning with tips for the winter adventure. Just before lunch we will go through the map and then show how to use snowshoes. Then the busses will take us to the National Park. The goal is Nightcamp Tärnättvattnet where we also get a course in winter camping. Let the adventure begin. The mountains are calling. After breakfast we hike through the Slåttdalskrevan and then up Mt. Slåttdalsberget and Mt. Stampberget with amazing views. Early evening we will reach Camp Kälsviken. 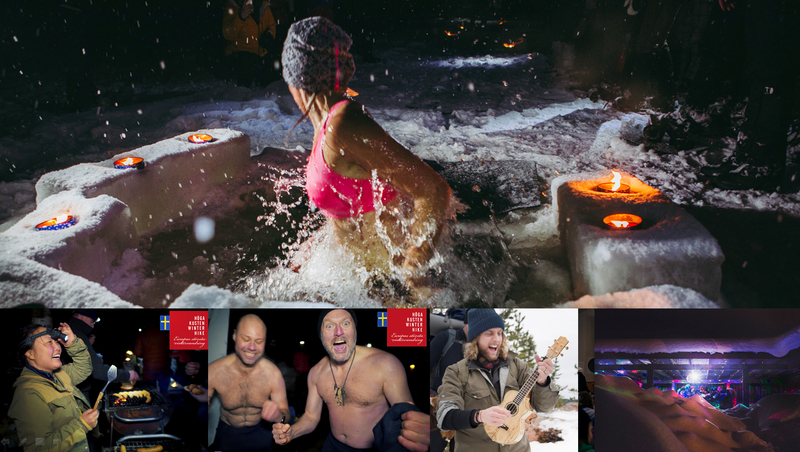 We light the campfires and meet the outdoor companies and those who dare can go ice-dipping. We wake up to the silence and sore legs. Then we continue the High Coast Trail to the finish line on top of Mt. Skuleberget. The top cabin is open with waffles and drinks. In the evening the after-hike starts in FriluftsByn. Depending on which route you choose it varies between “somewhat challenging” to “challenging”. If you are in decent shape you will make it, you have plenty of time and you can choose a shorter route Day I and Day II. Make this winter one to remember! 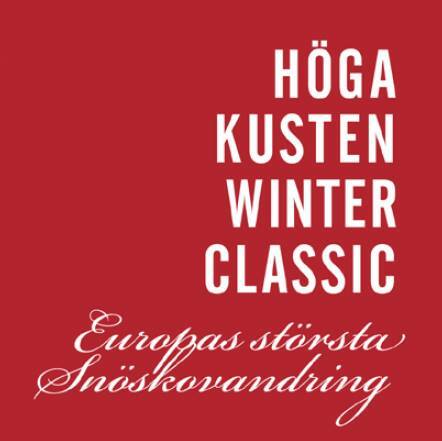 Gather your friends or set off yourself to the High Coast Winter Classic – Europe’s most popular winter hike. 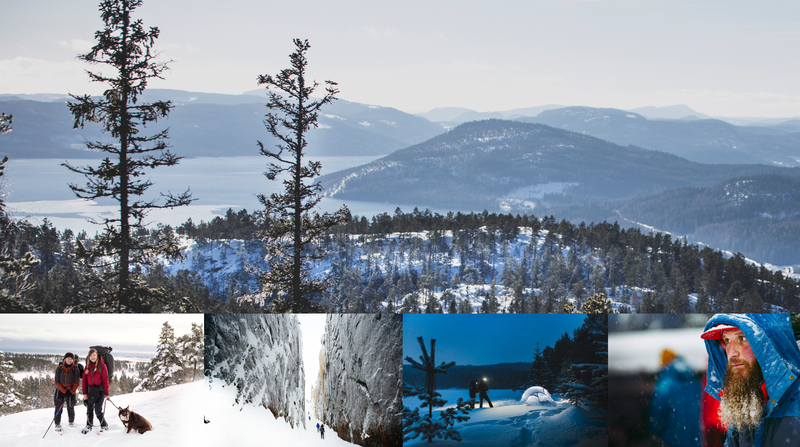 No previous winter experience is needed but you need to come prepared. The hike is demanding but every day you can choose between two routes.